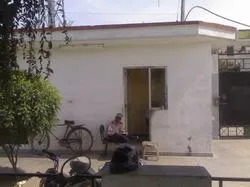 Established in 1989, We Beetax Industries are in constant touch with our buyers and do believe in prompt action and reply to any query of our buyers. We believe that quality is paramount to our long term strategy as a leading manufacturer, exporter and supplier of Premium Garden Tools, Hand Tools, Construction Tools and Mason Tools and many more. This commitment and focus has resulted in the creation of a new image. Today Beetax offers a vast range of special tools engineered and designed according to the buyers specifications. Beetax is supplying almost major countries in World specially Italy & France. We have a team of qualified and skilled professionals who strive to achieve the multiple goals and targets of the company in a stipulated time frame. 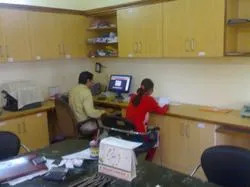 The team of our highly efficient quality testers are dedicated to the task of checking our products. We are also appreciated by our clients for our legal and ethical business policies and transactions that has made us gain the trust of our clients. Since Beetax believes in new lines, we always welcome any new tool to be developed according to buyers specifications. Given its past performance in quality control and meeting strict delivery schedules, the company continues to look forward to even greater buyers and consumer satisfaction. 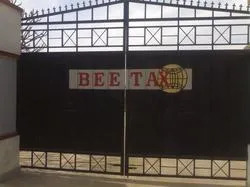 We are looking Export queries majorly from Gulf Countries and Saudi Arabia.Established in 1989, We "Beetax" are in constant touch with our buyers and do believe in prompt action and reply to any query of our buyers. We believe that quality is paramount to our long term strategy as a leading manufacturer, exporter and supplier of Premium Garden Tools, Hand Tools, Construction Tools and Mason Tools and many more. This commitment and focus has resulted in the creation of a new image. Today Beetax offers a vast range of special tools engineered and designed according to the buyers specifications. Beetax is supplying almost major countries in World specially Italy & France. Since Beetax believes in new lines, we always welcome any new tool to be developed according to buyers specifications. Given its past performance in quality control and meeting strict delivery schedules, the company continues to look forward to even greater buyers and consumer satisfaction. We are looking Export queries majorly from Gulf Countries and Saudi Arabia. 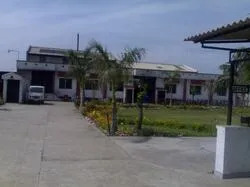 We have emerged as one of the leading manufacturers, exporters and suppliers of a wide gamut of Industrial Products such as Garden Tools, Hand Tools, Construction Tools and Mason Tools in different models and sizes. These are of optimum quality and broadly used in various industrial & construction work. Mainly in Gulf Countries and Saudi Arabia because our tools are of specific range.